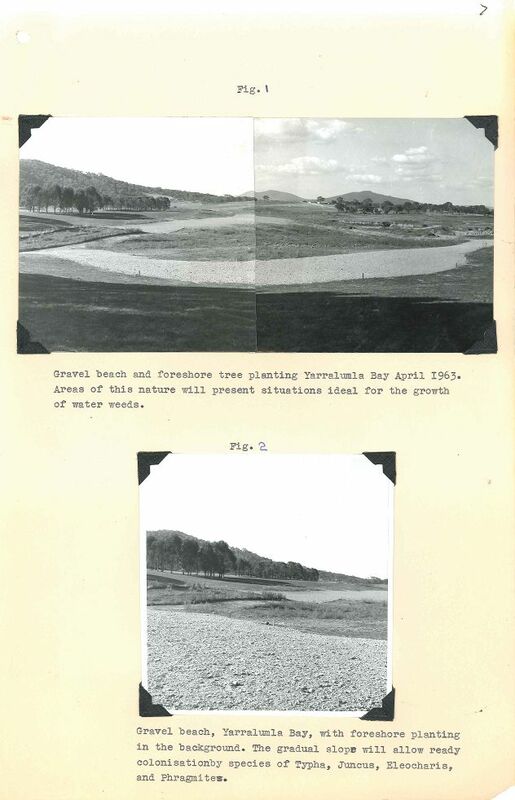 Although it took 50 years to be constructed, a lake has been the centrepiece of Canberra since Walter Burley Griffins' earliest plans. 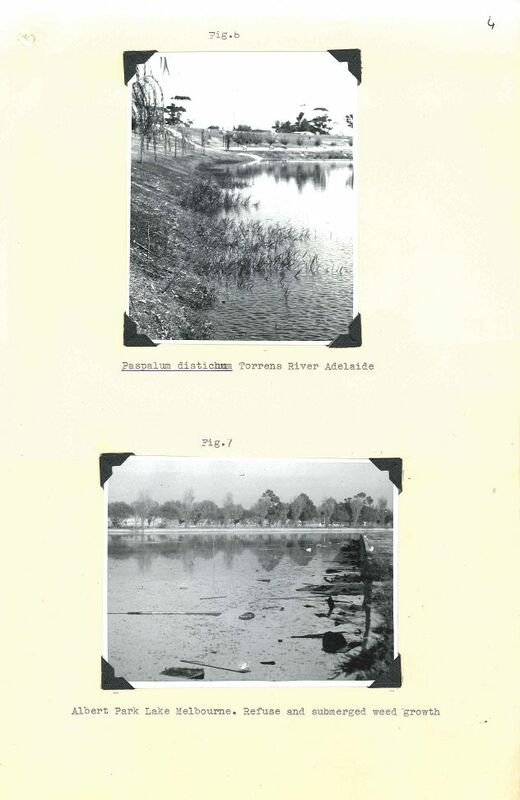 The early suburban areas of Westlake (now Yarralumla) and Eastlake (now Kingston) were named after sections of the yet to be built and named lake. 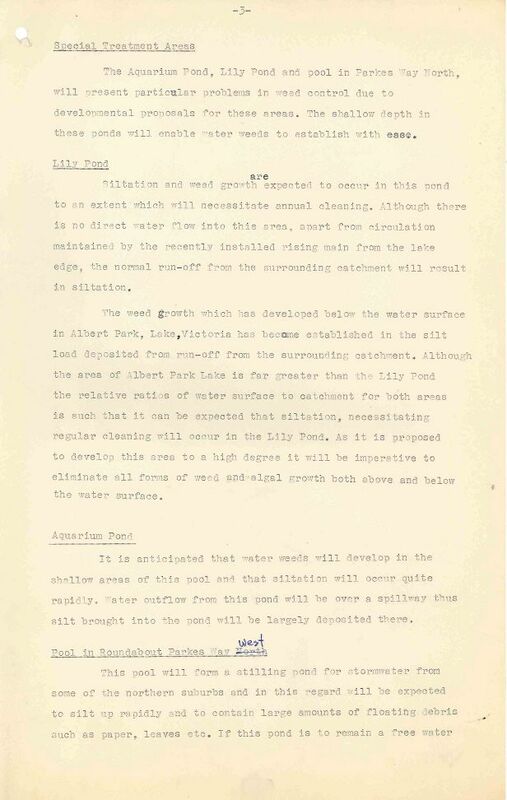 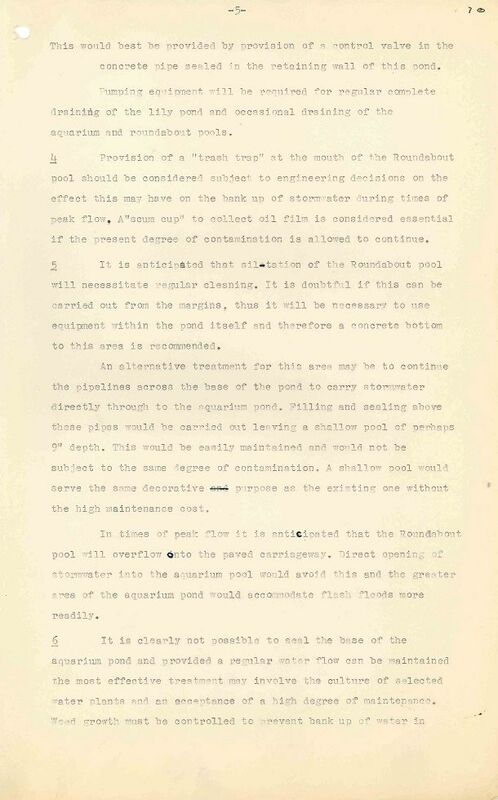 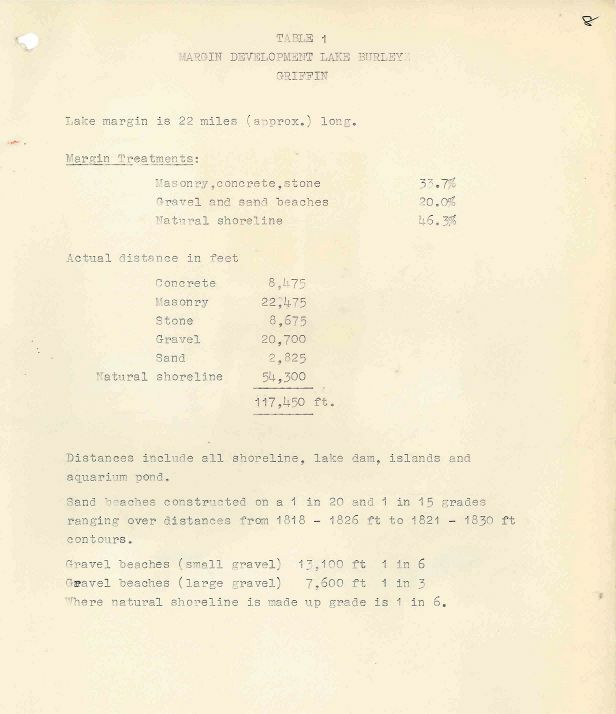 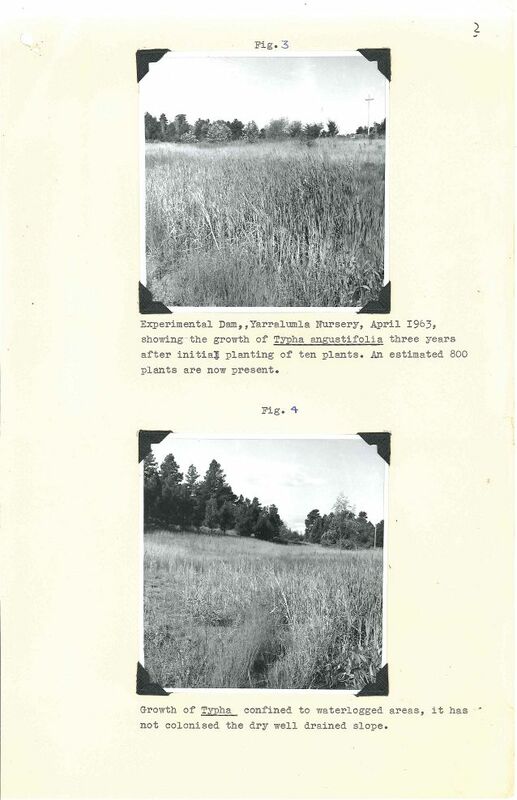 Given this length of time it is not surprising that the Parks and Gardens Section spent some time and effort on determining potential problems once the lake was filled, in particular control of weeds in and around the lake. 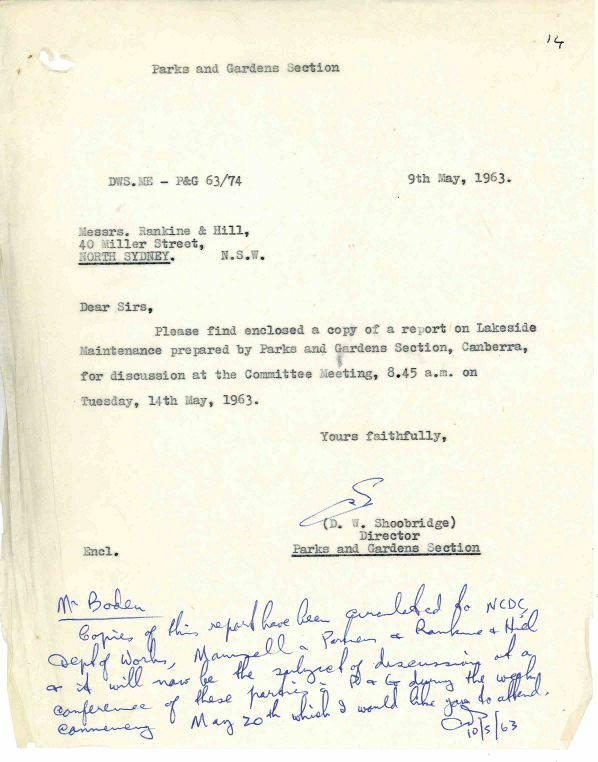 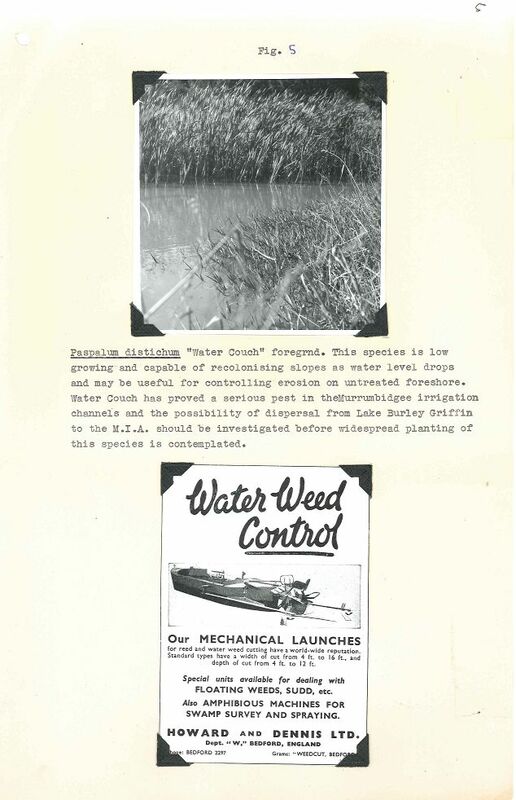 The file 'P&G 65-29 Pt.1 - Lakes Weed Control (No 1)' contains the report 'Future Maintenance of the Margins of Lake Burley Griffin, with Respect to Invasion by Water Weeds'. 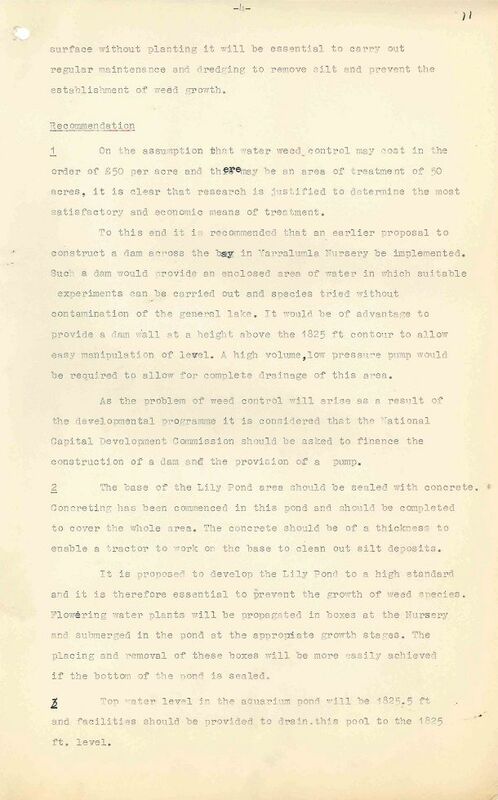 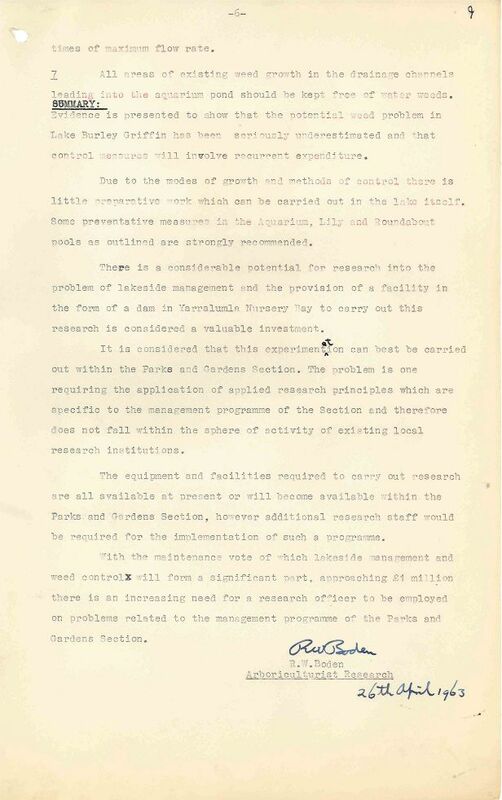 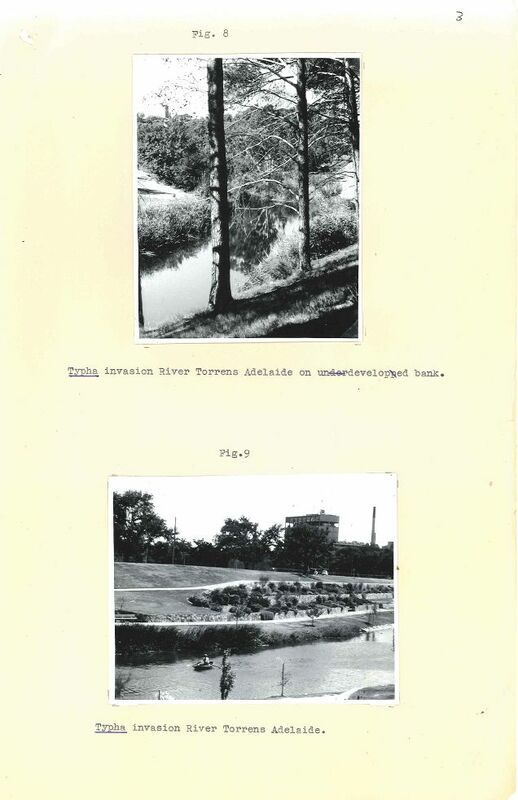 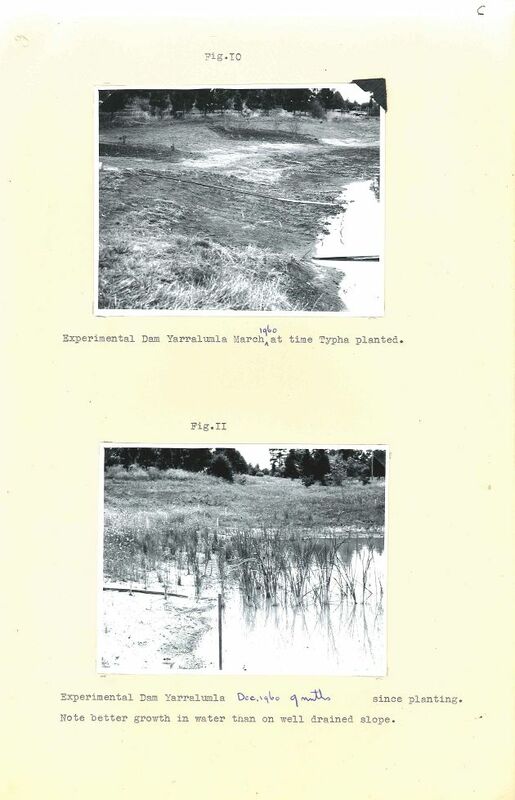 This report covers the research into water weeds during final construction phase of Lake Burley Griffin leading up to its filling in September 1963. 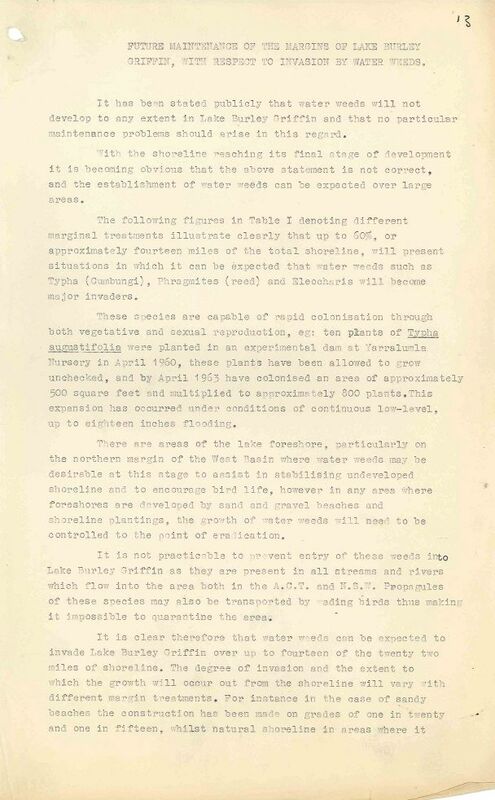 The Parks and Gardens Section proposed the construction of a small dam at Yarralumla to aid in researching the expected issue of water weeds. 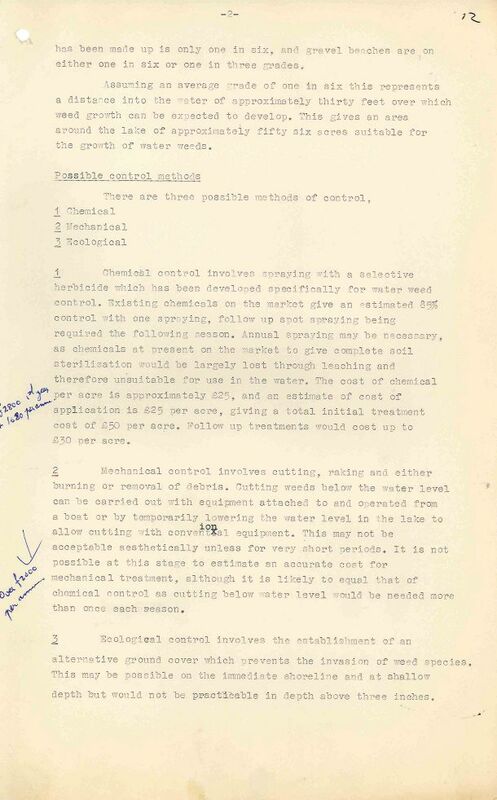 This did not eventuate but this report does show they were still able to evaluate problem weeds on a smaller scale and propose a variety of long term solutions.